C++ and Java application development. Developing software for the Psion range of hand held computers. Developing software for the Unidata range of data loggers. "The software that works for you in the field." 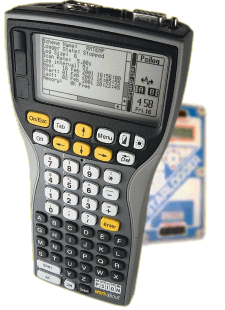 The PsiLog software package allows the unloading, programming and testing of Unidata loggers on site via Psion Workabout computers. It is an easy to use package that is compatible with your existing Starlog version 2 or version 3 software system to provide robust and reliable support of your data loggers while in the field. PsiLog has been sold into the United States, United Kingdom, Ireland, India, New Zealand, Vanuatu, and of course, Australia! Forecasts, Observations, and Weather Radar from the Bureau of Meteorology for Perth, Western Australia. On the Observations page, average Ocean Reef and Swanbourne for SCSS weather!